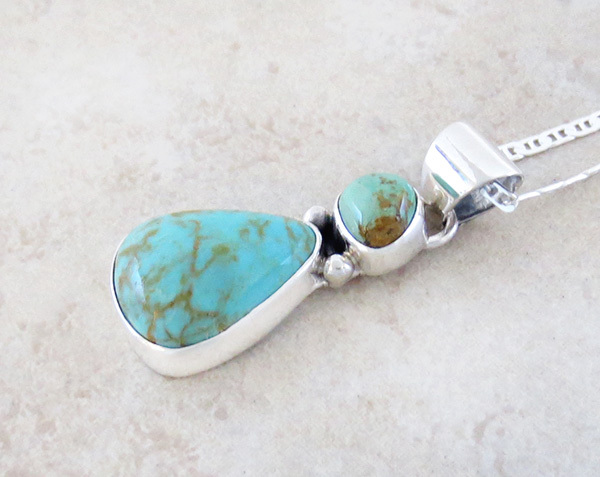 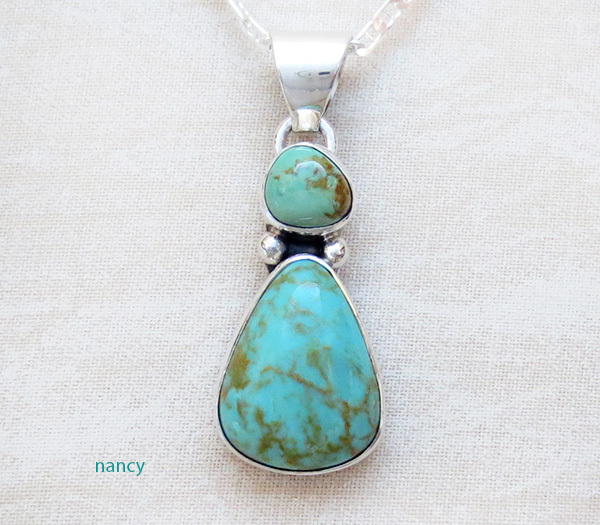 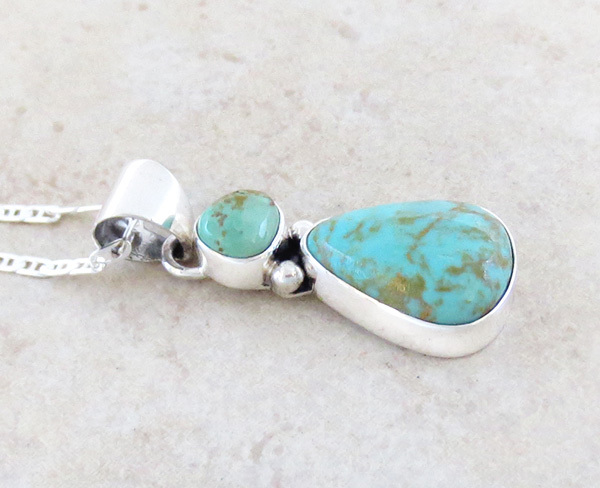 turquoise stones that are a lighter sky blue with gold. 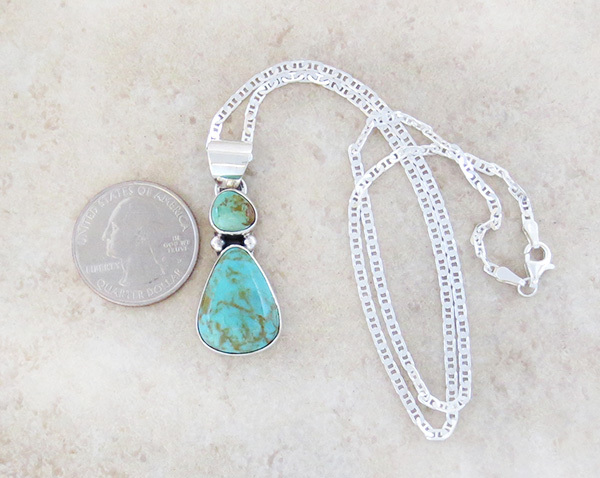 It's 1 1/4" tall, plus 3/8" bail, by 5/8" at their widest point. 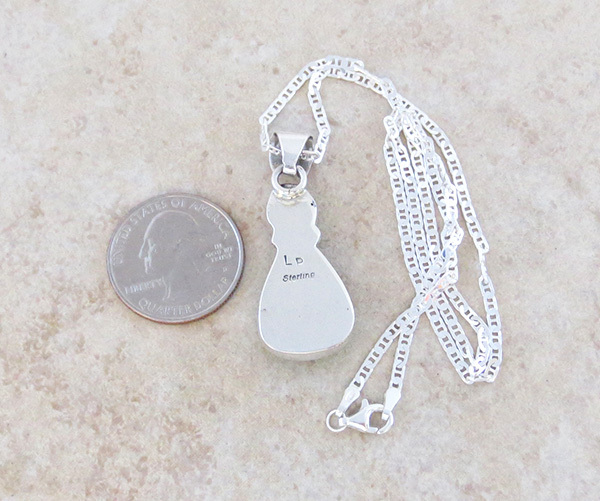 Pendant weight: 7.8 grams on my scale.